Here are ten things that mums secretly do. The constant shifts of changing diapers and feeding leave little time for a proper meal. By the time the baby has finally fallen asleep, we’re dead tired, our stomach is growling and all we want to do is go to bed. We look desperately for anything edible in reach, which just happens to be our chocolate reserves, crisps or some yummy ice cream. From time to time, we can manage to shovel in some strawberries or eat the odd banana, for the sake of a “balanced diet.” But exactly these guilty pleasures give us the energy boost for the rest of the day. Some bedtime stories can feel interminably long, especially after a long day. Of course, the kids always get into the story and are desperate to find out what happens at the end. Mummy’s special abridged version, which we can think up with our own imagination, is good alternative. But be warned, all you mothers! Once the kids can read, this you’ll have to say goodbye to this trick. “9...10, ready or not, here I come!“ starts looking for child. This way, both of you have your fun. And there’s nothing wrong with that, is there? 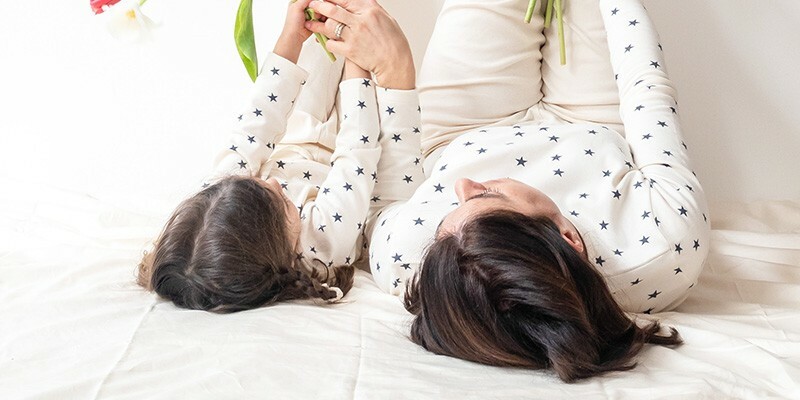 Many mothers set a goal that they wish to achieve at all costs: “lose weight!” To motivate ourselves, we keep all the clothes we wore before the baby, but we keep them in the back of the closet. After all, we don’t need to be reminded of them all the time. We keep them for moments when everyone else in the family is occupied, then take them out and try them on or just… look at them. It’s good for the soul to curse loudly and unreservedly in the car, when traffic is bad or someone cuts us off. This doesn’t change when we’re not alone in the car and the little one is asleep in the car seat. For mothers with young children: it’s not the end of the world if your child should once or twice hear you softly utter a swear word. It doesn’t mean you’re a bad mother, not by a long shot! Thank God for Disney. Sure, there are studies that show about the negative influence of television and yes, before we became mothers, we were all dead set against letting our child watch television. But honestly, we each had our favorite Disney movies before those studies came out and we all turned out normal. What’s important: everything in moderation. “Maybe later.” In adult speak, this might as well mean, “never happening.” Let’s just hope that they forget to ask again…. Mums often ask themselves why they buy the most expensive version of something, if in two weeks it’ll be broken or the child will have lost interest in it. A cheaper copy of the toy your child has been begging for fulfills the same purpose as its more expensive counterpart. Yes, every mother has tried it and there’s nothing gross about it. On the contrary, it tastes sweet. The consistency or the fact that it came from your breast is what might deter you from trying it or publicizing the fact. This is why it’s also one of the things mums do in secret.